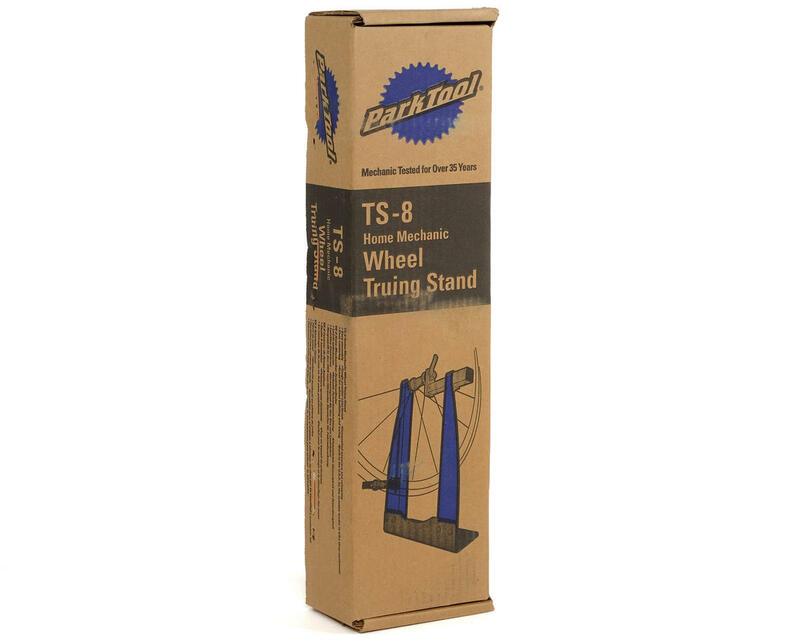 This is the Park Tool TS-8 Home Mechanic Wheel Truing Stand. 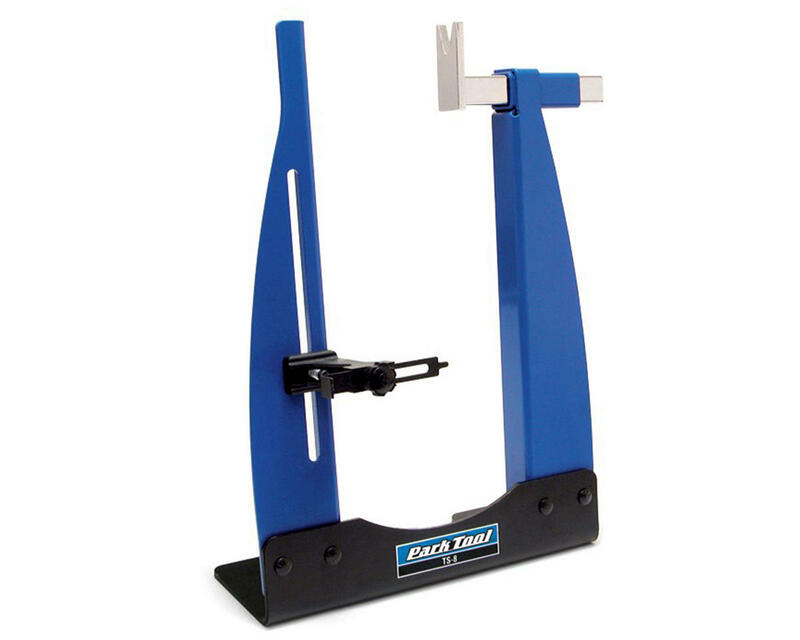 Developed for the home mechanic, the TS-8 provides an accurate and stable wheel truing tool, at an affordable price. Constructed from heavy gauge steel to resist flexing, the TS-8 can be used freestanding or bolted to a bench for extra stability. The stand fits wheels from 16” to 29”, with or without the tire mounted, while the innovative sliding dropout allows quick wheel installation, no matter what the hub width (up to 170mm). Dishing (centering) is performed by simply flipping the wheel in the stand.